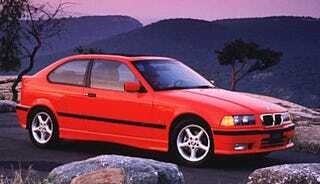 Cute little E36 hatch! Someone at my college has one (in this color) and I never knew they existed before but now I’d love to have one of these (and make it into an autocross monster, because nothing would be more fun or silly). I hear the main complaint about them is that they use a cheaper rear suspension setup, but it’s basically the same setup as the Z3 and people like those, right? Right?? ?